The red rock canyon country of southeastern Utah and northeastern Arizona is one of the most isolated, wild, and beautiful regions of North America. Europeans and Americans over time have mostly avoided, disdained, or ignored it. 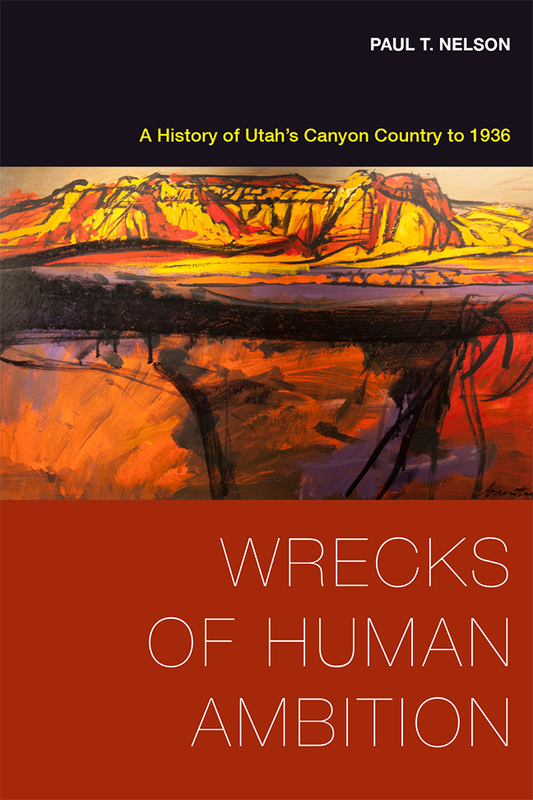 Wrecks of Human Ambition illustrates how this landscape undercut notions and expectations of good, productive land held by the first explorers, settlers, and travelers who visited it. Even today, its aridity and sandy soils prevent widespread agricultural exploitation, and its cliffs, canyons, and rivers thwart quick travel in and through the landscape. Most of the previous works regarding the history of this unique region have focused on either early exploration or twentieth-century controversies that erupted over mineral and water development and the creation of national parks and wilderness areas. This volume fills a gap in existing histories by focusing on early historical themes from the confrontation between Euro-Christian ideals and this challenging landscape. It centers on three interconnected interpretations of the area that unfolded when visitors from green, well-watered, productive lands approached this desert. The Judeo-Christian obligation to “make the desert bloom,” encompassed ideas of millenarianism and of Indian conversion and acculturation as well as the Old Testament symbolism of the “garden” and the “desert.” It was embodied in the efforts of Spanish missionaries who came to the canyon country from the 1500s to the 1700s, and in the experiences of Mormon settlers from about 1850 to 1909. Another conflicting sentiment saw the region simply as bad land to avoid, an idea strongly held by U.S. government explorers in the 1850s. This conclusion too was reinforced by the experiences of those who attempted to settle and exploit this country. Finally, though, the rise of tourism brought new ideas of wilderness reverence to the canyon country. The bad lands became valuable precisely because they were so distinct from traditionally settled landscapes. In pursuing the conflict between Euro-Christian ideals and an arid, rugged, resistant landscape of deserts and canyons, Paul Nelson provides in clear, engaging language the most detailed examination yet published of colonial Spain’s encounter with the region and lays out some of Mormonism’s rare failures in settling the arid West. Paul T. Nelson is a native Utahn and lifelong lover of canyon country, having climbed, rafted, and hiked through the region extensively. He holds a PhD in American history from Southern Methodist University in Dallas, Texas, and he currently lives, climbs, and rafts in the more temperate terrain of Fayetteville, West Virginia. —Kent Powell, editor of Nels Anderson’s World War I Diary (University of Utah Press, 2013).